Guitarist Jim Yanda (b. Oct. 9, 1959 Monticello, Iowa) had his earliest profession al experience as a Western Swing guitarist performing in Iowa honky-tonks near his family’s farm. By high school, he began incorporating the sounds of Eric Clapton, Jimi Hendrix, and the Allman Brothers into his homespun style. While playing in local dance bands to work his way through Coe College, Yanda came under the tutelage of the trumpet master and educator Paul Smoker. 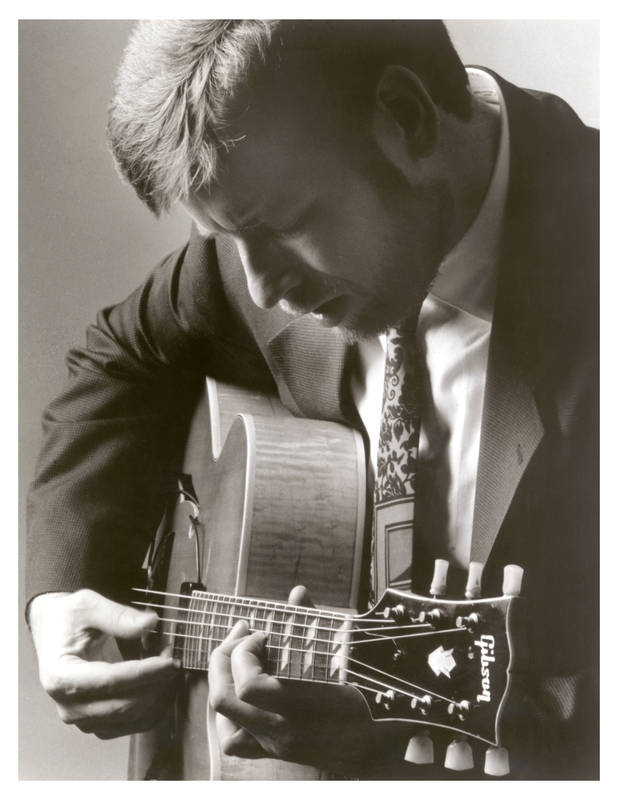 It was there the guitarist explored the jazz and classical traditions and the contributions made by Charlie Parker, Miles Davis, John Coltrane, Wes Montgomery, Pat Martino, and other masters. In 1983 he traveled to New York with his college friend, drummer Phil Haynes, where they co-founded the Corner Store in Brooklyn, where many up and coming musicians gathered and developed their styles. Yanda formed his trio with Haynes and bassist Drew Gress and began appearing in clubs. Seeking to revisit his midwestern roots, Yanda ventured to Chicago in 1987 and began appearing regularly in local clubs as a leader and sideman. He began a long association with contemporary drummer and composer Damon Short with whom he recorded All of the Above (Southport). He was a regular performer with the Déjà Vu Big Band and frequented the south side jam sessions hosted by Von Freeman. Since returning to New York in 1992 Yanda has recorded and performed his unique brand of improvised jazz with Phil Haynes, Drew Gress, Hank Roberts, Herb Robertson, Paul Smoker, and many others.